Have you thought about using your home for a short-term rental through Airbnb, HomeAway or through VRBO (Vacation Rentals By Owner)? Whether you’re a homeowner or are thinking about buying a home, a short-term rental could be a great way to earn extra money. You could rent out your basement, a bedroom, or your entire property – making homeownership more affordable for you! In fact, according to HomeAway, 54% of their owners generate enough rental income through short-term stays to cover 75% of their mortgage. Most owners use the rental income for home improvements or renovations and even pay for their child’s education. 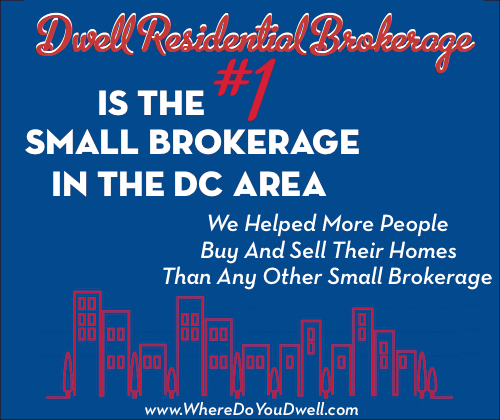 You can certainly see the advantages to being able to rent your home out to short-term visitors who come to DC. But, the option to rent your home to short-term renters is being debated intensely and we need YOUR help to make sure this benefit of being a homeowner does not disappear. 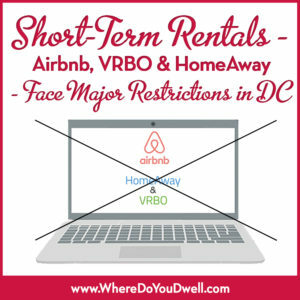 Right now both the VA and MD state legislatures and several local city councils including the District are grappling with how to regulate, enforce, and tax the short-term rental market. It’s a new type of business that is booming across the region. Some current rules will most likely change with more restrictions or be more enforced with set consequences (i.e., fines). It’s important to stay on top of that and we’ll help you with that. In DC especially, the rules could change significantly after next week’s DC Council hearing on proposed new regulations. Put Wednesday, April 26th at 10am on your calendar for this hearing! Bill 22-92, “Short Term Rental Regulation and Affordable Housing Protection Act of 2017,” will require hosts to obtain a separate specific business license for short-term rentals. Right now DC hosts need a basic business license and must follow zoning laws. The bill also will limit the length and number of rental bookings to 15 days cumulatively per year. This is a HUGE change that will impact many homeowners who rely on this income. We are asking you to join us at the hearing to voice your concern and go as far as testify to the Council. If you want to testify at the April 26th hearing, contact the Committee of the Whole at (202) 724- 8196, or email Randi Powell, Legislative Policy Advisor, at cow@dccouncil.us, and to provide your name, address, telephone number, organizational affiliation and title (if any) by noon on Monday, April 24, 2017. Please join us next Wednesday, April 26th at 10am at the hearing and please sign up to testify if you can do so. The location of the hearing is the John A. Wilson Building, 1350 Pennsylvania Avenue, NW, Room 500. Even if you are not a current homeowner and you were thinking of relying on this short-term rental income as a way to subsidize your mortgage or do renovations, please join as well! Your voice matters as well, because this could change your ability to afford a home if you were planning on this extra income.